Here’s another simple but useful control for Xamarin.iOS – the PillButton. The name describes it pretty well, it’s a button shaped like a pill or capsule and allows for managing the border color within your storyboard files by exposing an outlet for the color. Call this SetupBorder() method from the constructor as well as in AwakeFromNib() which is called by the storyboard renderer. Lastly we need to decorate our BorderColor property with [DisplayName("Border Color"), Export("BorderColor"), Browsable(true)] so it can be used in the storyboard as well. And that’s it! The moral of the story is to not be afraid to subclass controls to make your life easier when re-using them. 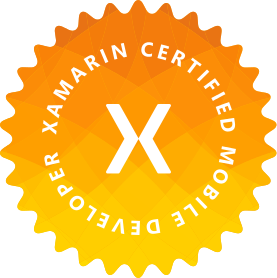 It’s a normal practice in iOS development, and that practice comes right on over to our Xamarin.iOS development! Good stuff, thanks for sharing! Super useful. A PillLabel would be awesome!